← My Green Card launched! 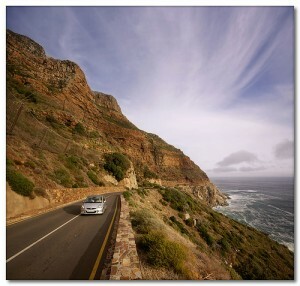 Chapman’s Peak Drive in Cape Town remained closed on Friday morning after a rock fell on to the road, the department of transport and public works said. “Yesterday the slopes were too wet to send up an abseiling team. So what we are doing today is bringing a crane truck to line up concrete blocks, called New Jersey barriers, next to the road to block the path of any falling rocks,” Western Cape transport MEC Robin Carlisle said. The barriers would be placed next to the road for about 20m in case more rocks fell down the mountain, he said. There was a 30 percent chance of rain on Friday for the Cape Town area and the department hoped to get the work done before the afternoon. 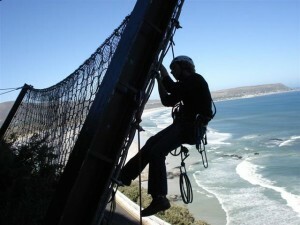 The abseiling team were getting ready to go up the slope to assess the origin of the rock just before 8am. “We are confident the road will be opened later today, but the safety of motorists comes first,” Carlisle said. On Thursday he said the rock fall constituted a level four fall. This was seen as a high-risk rock fall that required immediate road closure, followed by a “detailed assessment to determine the origin point of the rock”. Chapman’s Peak Drive in Cape Town was closed on Thursday morning after a rock fell on to the road, the department of transport and public works said. “This constituted a Level four fall, seen as a high-risk rock fall that requires an immediate road closure, followed by a detailed assessment to determine the origin point of the rock,” Western Cape transport MEC Robin Carlisle said. 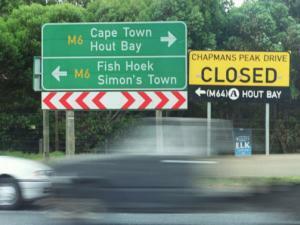 This entry was posted in Attraction, Transport and tagged Chapman's Peak drive, Chappies Closed. Bookmark the permalink.